Living My Life On Purpose: Fabulous Friday! What a beautiful day today was!! The weather was PERFECT! 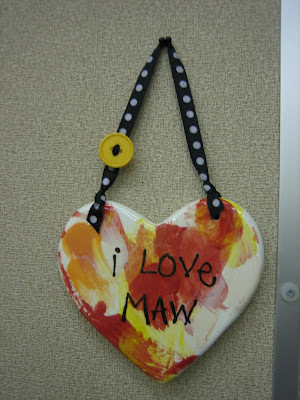 I finally got ribbon in the heart plaque Jaden made me for Valentine's Day. It looks adorable in my office :o) Thanks, Miss!! We had our ultrasound appointment today... everything checked out PERFECT!! Baby has incredibly long legs! I decided to stop for a mocha on my way to my appointment so baby was moving around A LOT! 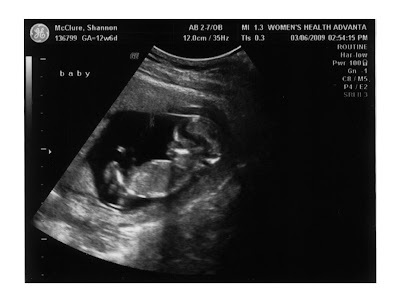 It was still a little too early to tell if we're having a he or a she though. Leanne (our friend that did the ultrasound) told me she try again when I went for my OB appointment in two weeks. Keep your fingers crossed!! 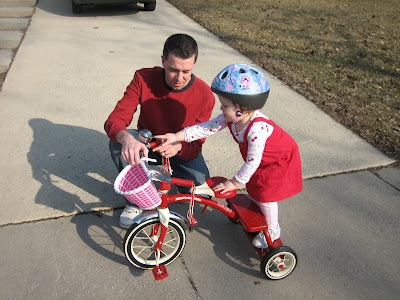 Today was perfect for a bike ride :o) Jaden got a tricycle for Christmas and was itching to give it a try. I didn't think she'd go for the helmet considering she was terrified of it last summer. She LOVED it!! 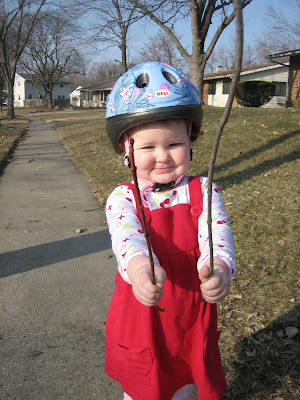 After her bike ride, she wanted to pick up sticks in the yard... with her "bike hat" on. After dinner, we even took a walk! I LOVE this weather!!! 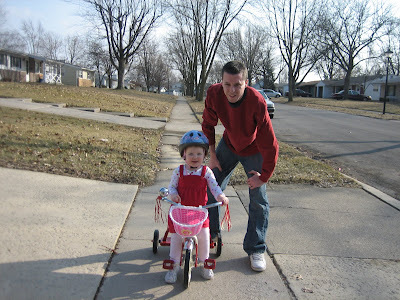 She is TOO cute on that bike with her "bike hat"! Maybe we will get to do the River Greenway this year! I bet she was picking up sticks for Ellie.....she did that earlier today! Baby Lime is adorable too! Having a little girl who likes to pick up sticks? Priceless! That last picture with her helmet, she looks just like grandpa Max.